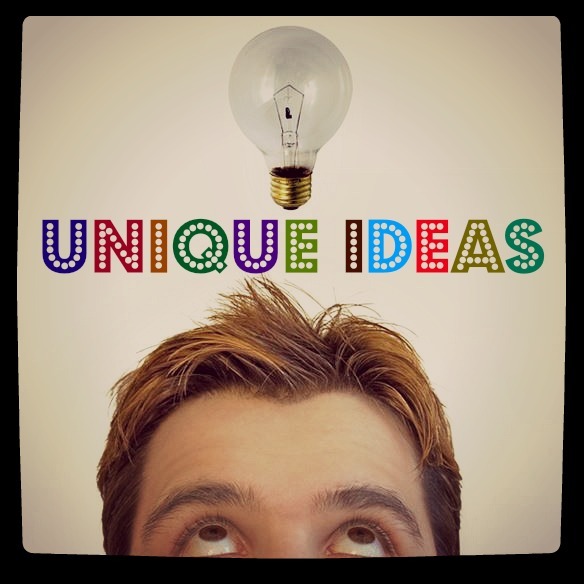 Unique business ideas are so fun and exciting -- we all wish we'd come up with these ideas! And it's definitely great to see the creativity and ingenuity of entrepreneurs all over the globe. I’ve been searching the internet to bring you some exciting (and interesting) new business ideas. Ideas that are intriguing and have social and/or economic impact possibilities. I want to share these interesting ideas with you to expand your thought processes of what is possible and what may be possible for you. These ideas you may wish you’d thought of . . . OR maybe ideas which you think about and realize you can adapt the ideas to your specific industry or the geographic area where you live. Today I’m just loving all of the creativity in the marketplace and the resourcefulness of folks who have developed a variety of products and/or services to meet the needs of their customers. There are a variety of green businesses, technology start-ups, and terrific home based businesses which make the entrepreneurial landscape very exciting today. Below are some of my favorites (or just interesting ideas) and I’d love to get your opinion. Make sure to leave your comments below to let everyone know your thoughts about these unique business ideas. . .
Would you think of starting this type of business in your area? Here are a few of my favorite unique business ideas . . . let me know if you have others!! Here's a unique business idea I just read about -- starting a Grave Care Business. This is perfect for individuals who love to work outdoors, have an understanding of landscaping techniques, and wish to be of service to those who are unable to take care of their loved ones grave sites. 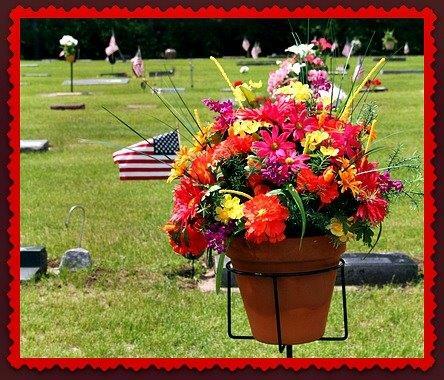 If this is of interest to you, set-up different types of care plans where you maintain and/or decorate these graves throughout the year or focus on specific holidays such as Mothers, Fathers Day, Memorial Day, July 4th, and Veterans Day. It is a service which provides ongoing care for deceased love ones. Keith started this business when he realized he wanted to work outside and get out of his "windowless" cubicle. This could be a standalone business idea or an additional service offered by a lawn maintenance service. Who knows, you may want to start a cemetery tour business!!! 1) Add special days throughout the year such as special family birthdays and anniversaries. If you love old books, this could be a unique business idea for you. Have fun by turning old worn-out books into art. Growingbooks is a fun business started by entrepreneurs Jeremy Ward and Luke Hallaways in Australia. They were interested in the simplicity and style of old books, re-purposing, upcycling, and came up with the business of making beautiful planters from old worn-out books. Extraordinary!!! 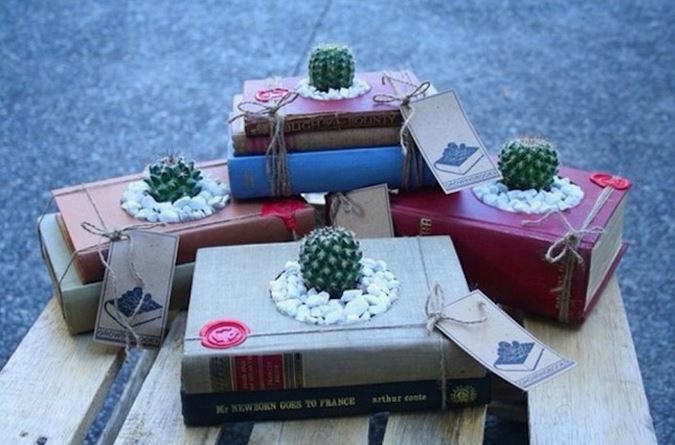 The company cores out the middle and places cacti and other succulent plants in the center of each book. As a final touch, they are wrapped with decorative twine for a finished look. These planters can be used as home or office decor. This business is only in Australia, but this could be a fun business idea for other entrepreneurs in other parts of the globe. 1) Continue book recycling and make small jewelry boxes or bases for pretty perfume bottles. Very fun!! Read, "Work-OUtBooks Given Second LIfe As Plant Boxes"
So have you been noticing the ingenuity of entrepreneurs who are looking for ways to compliment the fun party businesses which are springing up around the country?? It's truly fascinating to watch these unique business ideas spring up around the country!!! Fyxation -- a bicycle company who has developed a variety of leather bike products for their cycling friends so they can carry their craft beer or wine to the party safely. Their product line includes a leather six-pack caddy, wine caddy, leather pint tasting sleeve, and growler caddy. 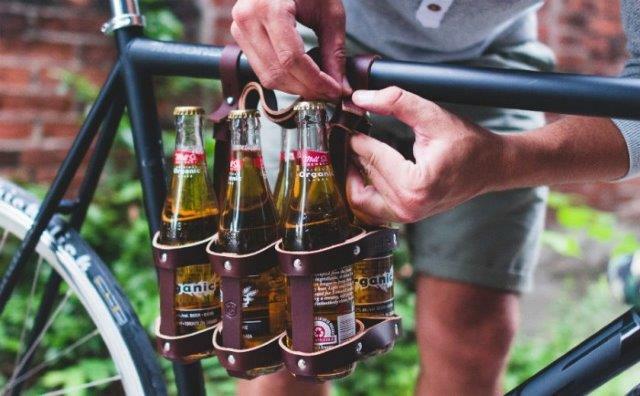 Perfect for the avid cyclist who needs some gear to carry their favorite beverages safely on their bike. Here's a very fun new company -- Wrapped! Have you seen these guys -- they got a terrific business idea from one of their Dad's who's an artist . . . They came up with the unique business idea of creating wrapping that's can be recycled into artwork after the package has been opened. A picture is worth a 1,000 words (or gifts as it were). Here's the wrapping that keeps on giving . . . .
1) The re-purposing industry to really growing. What can you find to re-purpose and fill a need for your customers?? Greeting cards? Other types of artistic designs?? 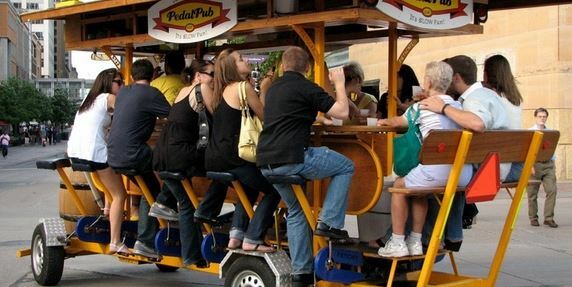 More Bicycle Ideas . . .
1) Start A Bicycle Library – these green transportation alternatives are starting to pop-up all over the country. The rider “leases” the bike from one location, rides to his/her destination, and then drops-off the bike at their final destination. Very good exercise and green transportation especially for downtown or master-planned areas. 2) Cross-Country Bicycle Tours -- some of my friends have enjoyed a variety of different tours throughout the U.S. on bicycle and Europe. One that I fondly remember the stories of were the brew pub cycle tours through Ireland. Loads of fun and lots of memories. O.K. So this is on of those unique business ideas I really wish I would have thought of . . . The Company, OwnPhones, is making customizable wireless earbuds for exercise enthusiasts who enjoy having their music as they're working out. And the best part, they are printed on a 3D printer -- how cool is that??? I can't even count the number of times, I've been caught up in my cords -- and these wireless earbuds are very cool for both men (and women)!! This can go in so many directions . . . and I predict these will become popular quickly!!! 1) As the population continues to age (gracefully), what about making these types of devices into hearing aids. 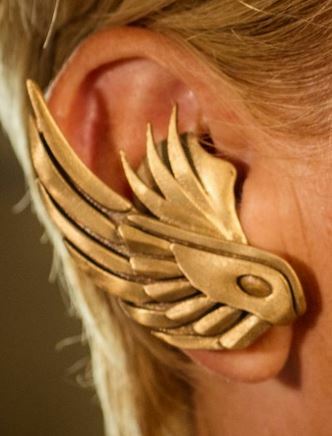 Instead of hiding our hearing devices, let's make them jewelry??? Maybe these guys were reading my business ideas where I suggested similar ideas among my "mobile" business ideas ?? This is a unique business idea for both the company and the car owners . 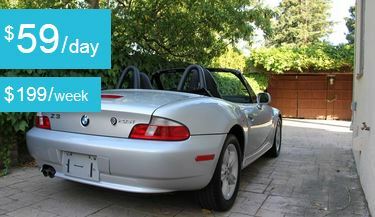 . . allowing each to make money from their current vehicles and meet the needs of others who enjoy vehicles that may not be available on the typical car lot. LOL!! They've come up with a great green business idea -- renting private owners cars!! Why not, with the price of vehicles and some people just leave them sitting in their garage. . . I personally love this idea -- a take off of the Vacation By Owner concept where individuals are renting their homes or second properties. 1) What about other private ownership types of vehicles -- Harley Davidsons? Yachts/Boats? Recreational Vehicles? Get the maximum use of these vehicles (and more green than everyone having their own vehicle) rather than leave them sitting where the owners are paying top dollar without using. O.K. Here's a terrific new product for all of my 'party peeps'!! 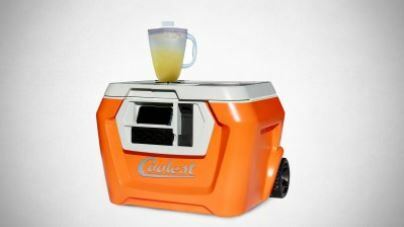 Check out this great cooler -- it has it all and it is kickin' it over on Kickstarter. This cooler sports everything you need for a day at the beach, in the park, on just hanging around the house -- waterproof bluetooth speakers, USB charger, cutting board, blender, wine bottle opener, etc. This is the ultimate "Portable Party". Best Home Based Business Ideas . . . Unique Business Ideas to Best Online Internet Business Ideas . . .